In photography, you must understand natural and artificial lighting and how it impacts your captured images. Many cameras have a built-in flash but, there are lots of options to understand when considering an external flash. Using different camera flashes will help to create stunning images regardless of the lighting situation. 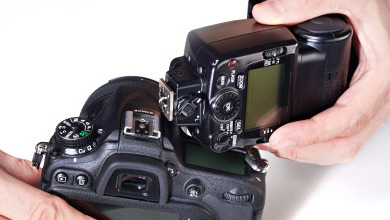 The hot shoe is a mount on top of the camera with electrical contacts for connecting a hot shoe flash, or another external device. 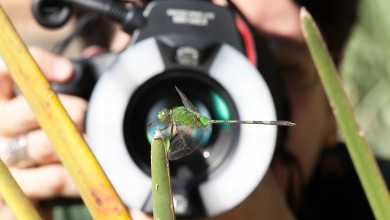 A macro ring flash sits on the lens barrel with attachment threads and provides diffused, soft light for macro photography to get up close and personal with your subject without shadowing or hard contrast. Flash modifiers enhance your lighting effects in various unique situations. Whatever your photography skill level you will find camera flashes for Nikon, external flash for Canon, and any accessories that you need when shopping with London Drugs. When do I use a camera flash? Flashes can be used for all situations (ie. indoor, daytime outdoors, night time), as a secondary lighting source to balance the lighting of the image. What camera flash should I buy? There are many camera flashes for all kinds of cameras and uses, so it all depends on the desired image results you are hoping for as well as the brand of your camera. What attachments can I use on a flash? Flash modifiers offer a new and flexible way to create sophisticated results and gives control over the actual shape of the light for precision and image confidence. Can I use a flash for video? No, as a camera flash only produces a short, bright burst of light. 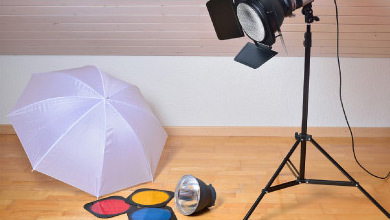 However, some photographers use LED lighting attachments as a "flash" for shooting video.